Our programs incorporate expertise in workout design, nutrition, injury prevention and recovery to create a stronger, faster and healthier athlete. 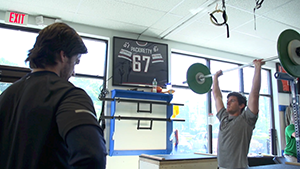 PHP provides both off-season and in-season programs to many of our athletes. 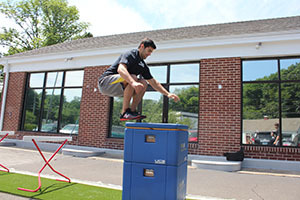 The off-season training program begins with a thorough assessment of strength, balance and vertical jump as well as a body fat analysis. Individualized programs are designed based on test results. Phase 4: Power and Plyometrics. The in-season training program consists of 2-3 personalized workouts per week designed to maintain strength and prevent injuries. This is complimented with an in-depth nutrition and supplement plan. For the body to perform, recover and rebuild optimally, proper nutrition must be addressed. We provide a focused approach to understand how the body functions at the biochemical level to address nutrient deficiencies and metabolic disorders. We start with a detailed health history evaluation to understand any physical limitations, daily energy levels, sleep patterns, and genetic risk factors. We follow this with the Bioprint 14-point body fat assessment which reveals where your body stores fat, and exposes possible hormonal imbalances. Scientifically developed by Charles Poliquin, Bioprint is a standard widely used by leading health professionals across the globe. A variety of functional medical tests may be used to further address issues surrounding peak athletic performance. A customized protocol of professional brand nutritional supplements is recommended to our athletes and is revisited throughout the season depending on their changing needs.